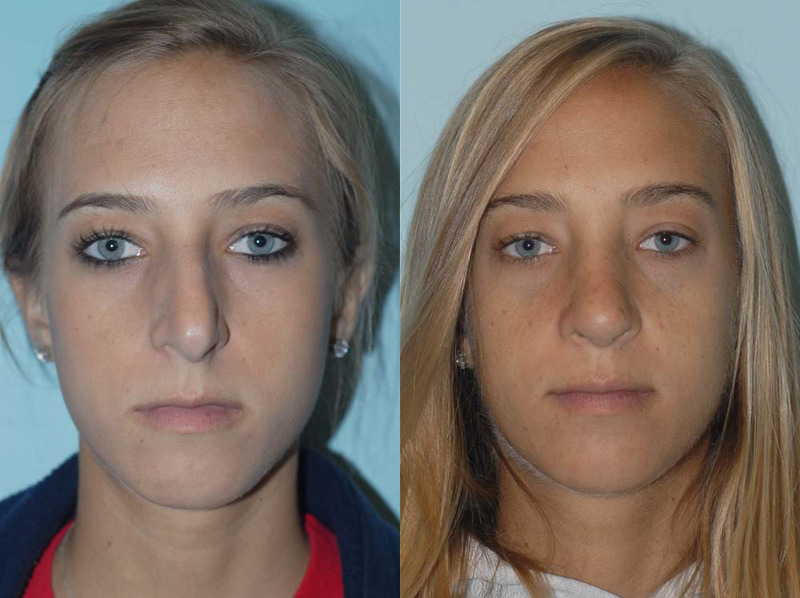 Rhinoplasty alters the appearance of the nose by shaping and re-positioning the nasal bones and trimming the bone and/or cartilage as needed (figure 1). Problems such as a large hump or a broad or round nasal tip can be corrected, and breathing can often be improved at the same time, if there are internal problems. Rhinoplasty (nose surgery) can dramatically change the facial balance – if the nose is too large, it can make a normal chin look too small. Incisions are made inside each nostril. Often, these are joined with a small incision between the nostrils. This allows the surgeon to lift up the skin, and see both sides of the nose at once. This is called an “open rhinoplasty”. Sometimes, other carefully placed external incisions are needed for certain problems — e.g. excessively large nostrils. Rhinoplasty is not a new procedure. The basic operation was developed over 100 years ago. However, many refinements have occurred. The emphasis now is on a natural look. I like to avoid the “operated” look with its raised, pointed tip and “ski-jump” profile. Rhinoplasty can be done at any age after skeletal maturity (15 to 17 years). There is no upper age limit – apart from your general health. Your results do depend on how your skin shrinks to fit the re-shaped foundation of bone and cartilage. Lifting the tip of the nose, and reducing the overall size, will often help you look younger. Rhinoplasty can be done under local anesthesia (injections to freeze the tissues) with some sedation. Most of my patients choose a general anesthetic (they go to sleep). 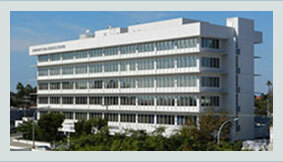 Usually, rhinoplasty is an outpatient procedure (you go home the same day). A splint will be taped over the outside of the nose for a week after the surgery. You may have some soft rubber drains or splints inside the nostrils, if a blocked airway was corrected. There is often some bruising around the eyes. This may last two weeks or so. Swelling of the nose will also last about the same length of time. There will be some very slight swelling, noticeable only to you and your plastic surgeon, for several months after a rhinoplasty. It may take up to one year for the tip to shrink down to it’s new size. The areas of the nose operated on are often numb for several months following surgery. For this reason you should protect your nose from extreme cold or sunburn. While the operation takes six months to one year to achieve the permanent result, your “new” nose is visible right away. However you may be surprised how few people will notice. 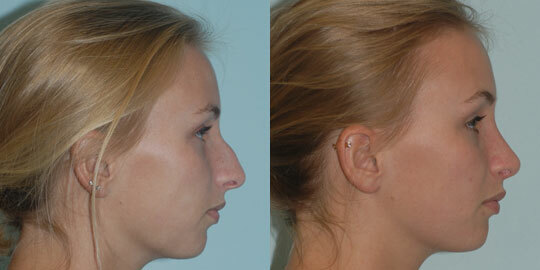 A good rhinoplasty will create a nose in harmony with the other features of the face. Your nose will no longer catch the eye. Instead, friends may remark how well you look. (“Have you had your hair done differently?”) For most patients though, the biggest satisfaction is their new appearance in the mirror. If you are considering nose surgery (rhinoplasty) in Orange County, please click here to contact Newport Beach Plastic Surgeon, Dr. Bailey, for a consultation. 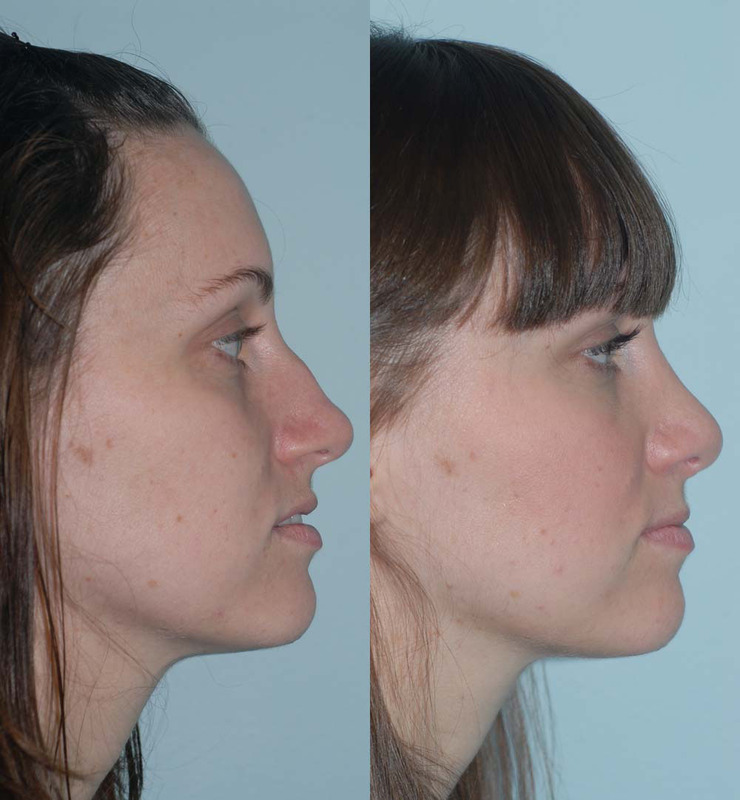 Click on a photo to see more rhinoplasty pictures.